Everyone has experienced the embarrassment of having bad breath. Doctors and dentists call the problem halitosis. It affects people of every age and background. It can make your social life difficult, cause poor self-esteem, and even affect your professional life. Fortunately, once you understand the causes of bad breath, you can learn simple and effective ways to get rid of it. The following suggestions can help you pinpoint the cause of your bad breath, and find a solution that gives you back your fresh mouth and your self-confidence. Maintain excellent oral hygiene. Bacteria-laden dental plaque is one of the most common causes of breath odor. To keep your teeth clean, brush at least twice a day, and floss every day. If you have bad breath, brush more often. Clean your tongue. 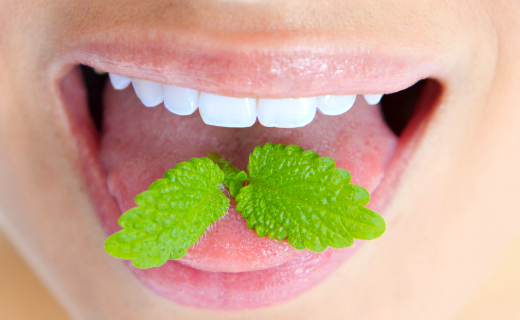 Bacteria and residual food debris in the coating that covers your tongue’s surface can produce halitosis. Brush your tongue gently with your toothbrush, or use a tongue scraper. Manage gum disease. Periodontal disease causes breath odor when bacteria accumulate in the pockets at the base of your teeth. If you have severe gum disease, see a periodontist for treatment. Skip foods that cause breath odor. Onions and garlic are top offenders, and even brushing after you eat them won’t eliminate the smell. If you have an impending social engagement, avoid eating strong-smelling foods beforehand. Stop smoking. Cigarettes give you very bad breath. They also stain your teeth, cause respiratory problems, and increase your risk of cancer and heart disease. Increase hydration. A dry mouth due inadequate saliva production can promote bad breath. Drink plenty of plain water to keep your body hydrated. Rinse your mouth. Use an anti-bacterial mouthwash after brushing to kill odor-causing germs. Swishing with plain water after you eat can also help improve your breath by washing away food particles. Replace after-dinner mints with sugarless chewing gum. Chewing sugarless gum stimulates saliva production, which combats plaque acids and helps keep your mouth cleaner and fresher. Ask your doctor for help. If there is no improvement despite your efforts, report your symptoms to your doctor. 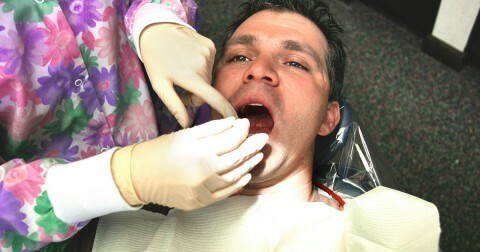 Bad breath can be related to medical conditions such as diabetes or gastrointestinal problems.